The David Bowie exhibit that has Londoners flocking to the Victoria and Albert Museum is coming to the Art Gallery of Ontario this fall. The AGO announced Tuesday that the exhibit of 300 objects from the singer’s personal archives would open in Toronto on Sept. 25. 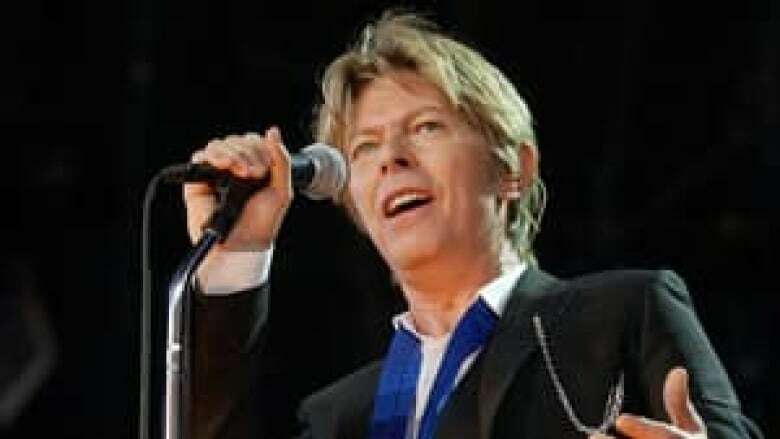 Bowie, a pioneering musician, performer and style icon, burst back into the spotlight this year with his first new music in 10 years — the album The Next Day — and proved he still could provoke controversy with his video for the title song. The London show helped focus attention on his theatrical approach to performance. Bowie’s showbiz incarnations from Ziggy Stardust to The Thin White Duke are explored through costumes, set designs, photographs and music videos from each stage of his 40-year career. The Ziggy Stardust bodysuits designed by Freddie Burretti are among the more than 50 costumes on view. • Set designs created for the Diamond Dogs tour (1974). • Kansai Yamamoto’s flamboyant creations for the Aladdin Sane tour (1973). • Photographs by Helmut Newton, Brian Duffy and John Rowlands. • Album sleeve artwork by Guy Peellaert and Edward Bell. • Video excerpts from Top of the Pops (1972), The Man Who Fell to Earth (1976) and Saturday Night Live (1979). The Victoria and Albert, London’s museum of art and design, curated the exhibit with objects from the David Bowie Archive, a collection of more than 75,000 objects kept by Bowie himself. Working with Sandy Hirskowitz, the collection’s archivist, Victoria Broackes and Geoffrey Marsh of the V&A hand-picked the costumes, footage and objects that mark the journey of a unique British artist. His experiments with surrealism, German expressionism, music hall, mime and Japanese Kabuki performance are explored as well as his collaborations with artists such as David Mallet, who directed his Boys Keep Swinging (1979) and Let’s Dance (1983) music videos. Lovers of Bowie’s music will be able to peek into his creative process with his own handwritten lyrics, diary entries and instruments, as well as enjoying a soundscape designed to make the most of Bowie's music. The AGO exhibit David Bowie Is runs Sept. 25 to Nov. 27. and is the first stop on a world tour for the show.